The poets whose work is collected in this vibrant and exciting collection of contemporary Irish poetry belong to a group that meets regularly in University College Dublin (the name 'Thornfield' being linked to one of the university buildings). The poems - varied, eclectic and ironic - explore diverse themes and topics, some of them pushing words to their boundaries, others grappling with complex emotions and states of mind. 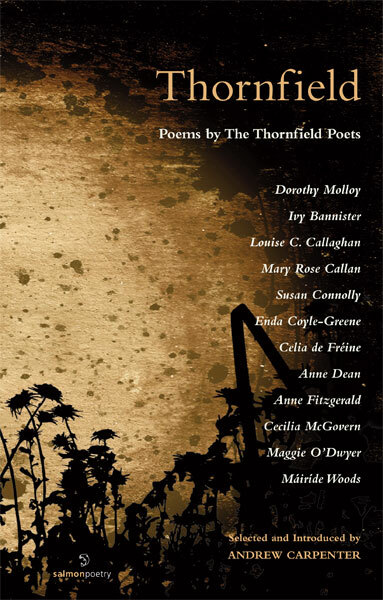 The volume includes three remarkable unpublished poems by the late Dorothy Molloy, a founder member of the original Thornfield Poets workshop. The other contributors are Ivy Bannister, Louise C. Callaghan, Mary Rose Callan, Susan Connolly, Enda Coyle-Greene, Celia de Fréine, Anne Dean, Anne Fitzgerald, Cecilia McGovern, Maggie O'Dwyer, MáirÃ­de Woods.